Ethics codes are designed to promote ethical research through awareness-raising and guidance. Policy briefs are designed to address one particular issue, for instance on ethics dumping, to create a policy environment conducive to ethical research. 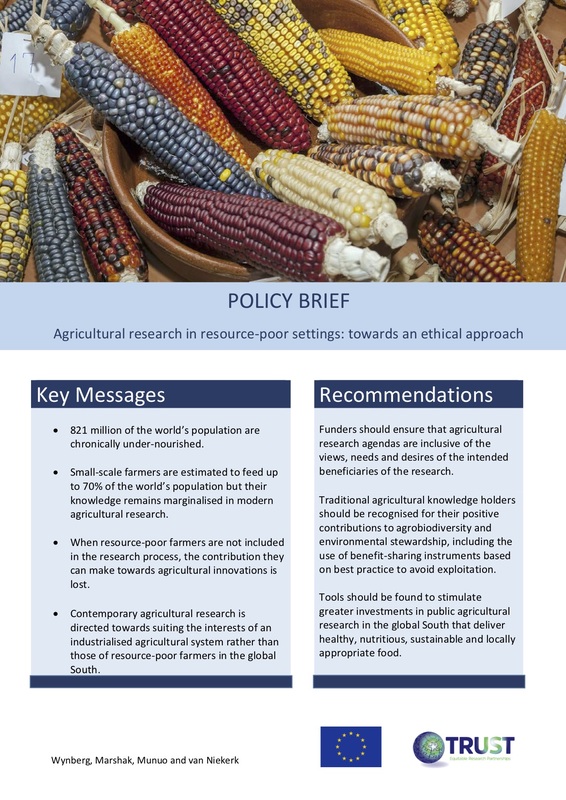 The policy briefs that can be accessed here promote the spirit of the Global Conduct of Conduct for Research in Resource-Poor Settings. Every year tens of thousands of healthy volunteers are involved in clinical trials in a wide variety of countries. Amongst them "professional volunteers” may expose themselves to serious medical conditions and risk compromising the validity of the scientific results of the trials. 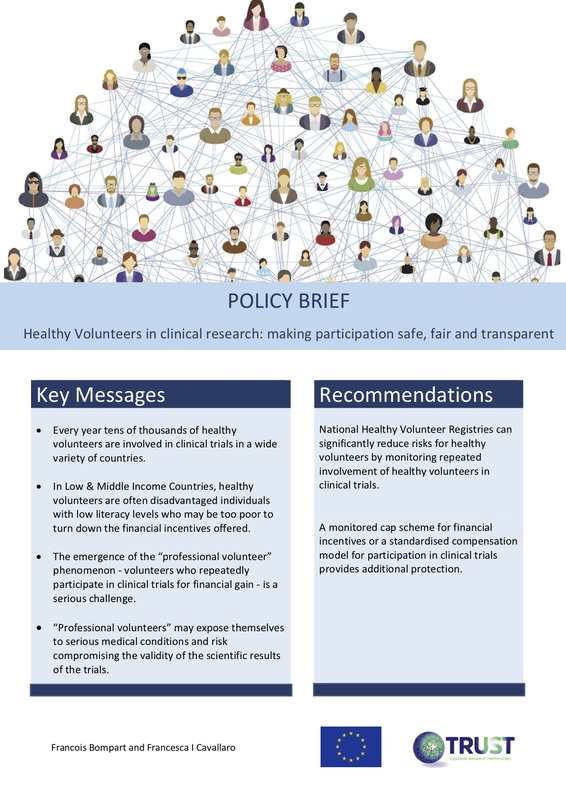 TRUST recommends National Healthy Volunteer Registries to significantly reduce risks for healthy volunteers by monitoring repeated involvement of healthy volunteers in clinical trials. Francois Bompart and Francesca Cavallaro, the authors of the brief, also recommend a monitored cap scheme for financial incentives or a standardised compensation model for participation in clinical trials provides additional protection. In the 2nd TRUST policy brief, Wynberg, Marshak, Munuo and van Niekerk from the University of Cape Town tackle the issue of chronic hunger and malnutrition through the perspective of small-scale farmers in resource-poor settings. They recommend that traditional agricultural knowledge holders should be recognised for their positive contributions to agrobiodiversity and environmental stewardship and be included meaningfully in agro-food research to deliver healthy, nutritious, sustainable and locally appropriate food.